With the help of the Office of the Presidential Adviser on the Peace Process (OPAPP), Institute for Autonomy and Governance (IAG), and Presidential Legislative Liaison Office (PLLO), Cordillera gained new allies in the pursuit of bringing sustainable development and just and lasting peace in the region through Cordillera autonomy. The alliance building thrust of the Social Preparation of CAR into and Autonomous Region (SPCAR) Program of the Cordillera Regional Development Council (RDC-CAR) and National Economic and Development Authority Cordillera (NEDA-CAR) saw significant advances with a rise in national support in 2018. The advocacy sustained its alliances with existing officials and gained the support of various other national officials reaching over 4,000 stakeholders. Then-Peace Secretary Jesus Dureza of OPAPP continued to advocate for Cordillera autonomy proclaiming it to be “a victory that should not be postponed anymore”. On January 17, Dureza made the request to Senator Juan Miguel Zubiri to draft and file the Senate counterpart of House Bill 5343, or the Act establishing the Autonomous Region of the Cordillera, in behalf of Cordillera leaders during the Congressional Forum on Cordillera autonomy and Federalism. The bill was filed on February 1, 2018 as Senate Bill 1678. OPAPP and the IAG have been staunch supporters of Cordillera autonomy and helped build a stronger presence at the national level. IAG co-organized the January 17 Congressional Forum, the February 15 autonomy advocates, and the August 10 Meeting Cordillera leaders’ meeting with Senators Koko Pimentel and JV Ejercito where Senators Ejercito and Bam Aquino announced their support to the advocacy by filing counterpart bills SB 1923 and SB 1930, respectively. Senators Koko Pimentel, Sonny Angara, and Cynthia Villar also expressed their support to the advocacy. President Duterte also fulfilled one of his promises to the Cordillera people by including two Cordillerans, Dr. Virgilio Bautista and Atty. Lawrence Wacnang, on the Commission to review the 1987 Constitution and draft a federal constitution (ConCom). The draft federal constitution included several provisions of the draft Cordillera organic act but Dr. Bautista still urged Cordillerans during the ConCom consultation in Baguio on June 26 to pursue autonomy towards federalism to ensure the inclusion of the organic act as an appendix to the federal constitution. CAR Congressmen also coordinated with the NEDA-CAR to conduct public consultations in Baguio-Benguet and Mountain Province to gather inputs and suggestions for HB 5343. This culminated in August 14 during the House of Representatives Local Government Committee hearing on HB 5343 attended. In this meeting, committee members particularly Representatives Manuel Zubiri of Bukidnon and Abdullah Dimaporo of Lanao Del Norte 2nd District urged the passing of the bill in the lower house. PLLO provided increased legislative support with executives Sec. Adelino Sitoy, Asec. Orville Ballitoc (who hails from Ifugao) and Usec. Ryan Estevez promising to work on the Cordillera Organic Act in both Houses of Congress. NEDA-CAR partnered with OPAPP and PLLO and met with national personalities in the cabinet and Congress during the Am-among Di Cordillera, a national peace forum. The event coincided with the 32nd anniversary of the historic Mount Data Sipat or peace pact between the national government and the Cordillera People’s Liberation Army (CPLA) on September 13. Several witnesses to the 1986 event were present during the Am-among to restate their clamor for autonomy. One witness in particular who served as the guest-of-honor during the Am-among was former President Fidel V. Ramos. More partners were gained who committed to push for “Cordillera autonomy towards federalism” such as Cordillerans PCOO Asec. Marie Rafael-Banaag, DOT Asec. Marco Bautista, DOJ Asec. Cheryl Daytec-Yangot and DOH Usec. Roger Tong-an as well as non-Cordillerans such as Presidential adviser for Northern Luzon Raul Lambino, Congressional Policy and Budget Research Director-General Romulo Miral, Representative Bai Sema of the 1st District of Maguindanao and Bangsamoro Transition Commissioner Jose Lorena. 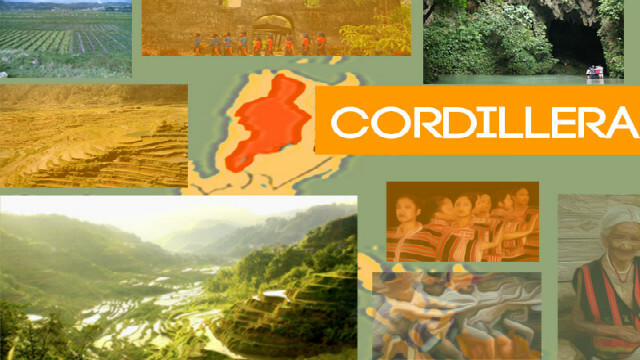 The RDC-CAR through NEDA-CAR adopted Cordillera autonomy as the overarching theme of regional development. It is viewed as the best way to achieve just and lasting peace and sustainable development in the region by providing the Cordillerans with a permanent regional identity and the ability to craft policies appropriate for the region and its people.